While we’re proud to integrate and work with some of the most popular association management solutions on the market, we also understand that some organizations are looking for a more customizable solution. Our developer documentation contains all the information and tools you need to build a custom solution to meet the specific needs of your organization and your members. Explore how organizations like yours are using AffiniPay’s APIs to build custom payment solutions. 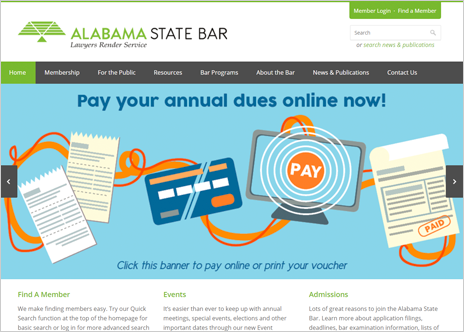 In September of 2014, we were launching a redesigned website and updating the online collection of license fees and other dues. Integrating our website with LawPay was seamless with the technical assistance provided, and allowed us to collect ACH and credit card payments from our members. We were also able to build a reconciliation process for our online payments that used the reporting tools provided by LawPay in conjunction with the reports generated from our own database interface. LawPay’s reporting tools were better, and the fees lower. Best of all, on the rare occasion we have needed assistance from LawPay, our client representative Janelle Benefield has been easy to contact and responded quickly to see that the issue was resolved quickly. Want more information on building a custom payment integration? Contact us today to learn more, get started, or set up a test account. Ready to start building? Our developer documentation has all the information you need to get started on building your custom solution.